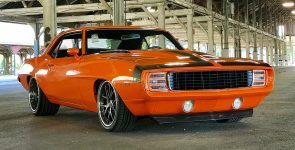 Today we bring you the complete story behind the Goodguys 1969 Chevrolet Camaro G/RS, which made his first appearance at the 2013 SEMA Motor Show. 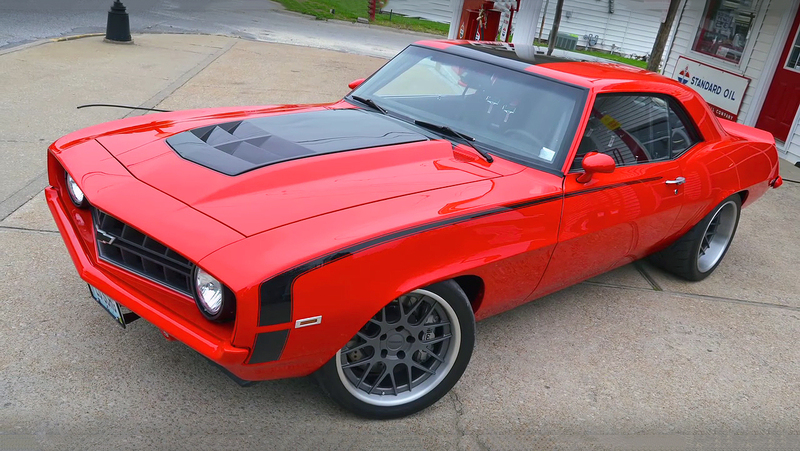 The Ridetech team has started working on this project in late April 2012, and they have spent 17 months and many 17 working hours a day to build this muscle car masterpiece. 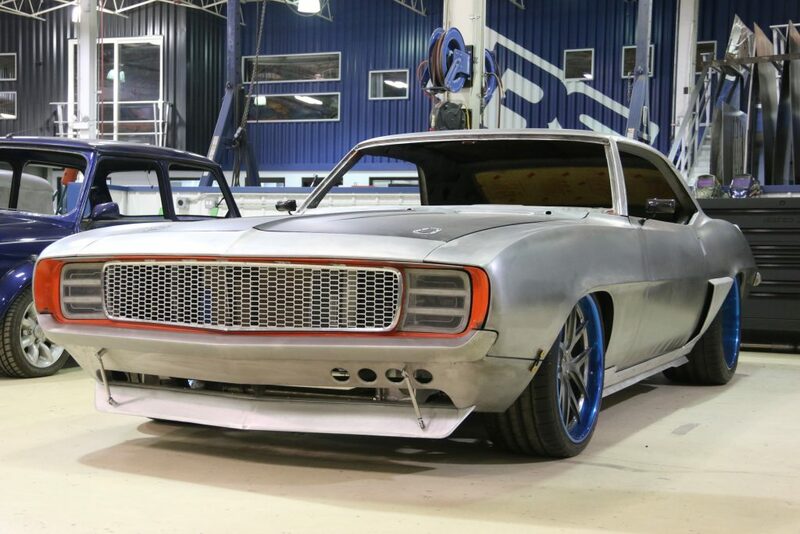 The purpose of their project was to be created a muscle car that has all the characteristics as a brand new modern car. Because of that, this Pro Touring Camaro went through a complete makeover. The Driveline, body and interior have been completely rebuilt. So let’s see what king of equipment has this Camaro G/RS. 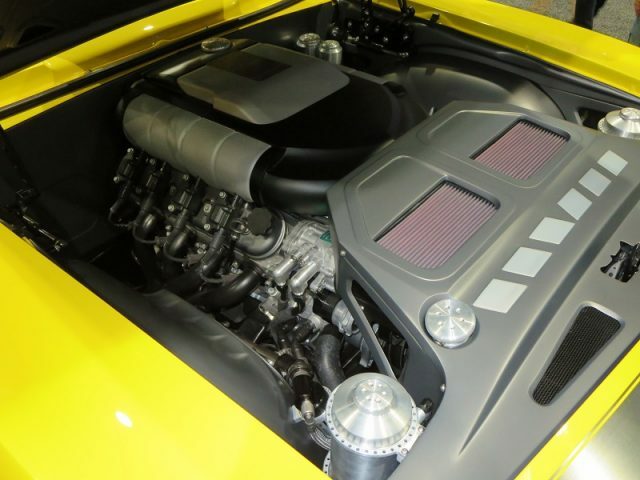 Under the hood, this Camaro G/RS is powered by a Supercharged GM’s 376 cubic-inch, 6.2-liter LSA small-block Crate V8 engine, rated at 556 horsepower and 551 lb.-ft. of torque. The engine is bolted to a TREMEC T56 Magnum 6-speed manual transmission, which spins 12-bolts Moser rear-end. Also has complete RideTech suspension, connected to 18-inch Forgeline wheels equipped with BFGoodrich G-Force T/A KDW tires. Braking performance comes from the Baer 6-piston calipers and vented rotors on all four corners. The interior has been completely customized, which includes Vintage Air A/C, Dakota Digital VX Series gauges and sports RECARO seats.